Heat oven to 350°F. In ungreased 8- or 9-inch square pan or 13x9-inch pan, place potatoes. Drizzle oil over potatoes; turn potatoes so all sides are coated. 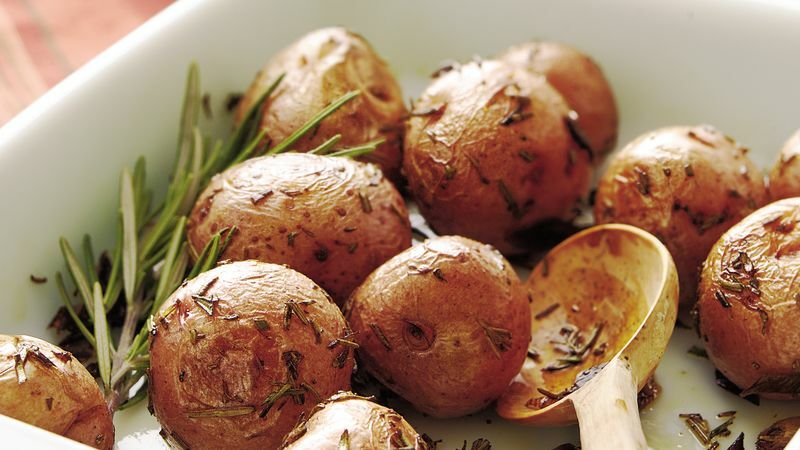 Sprinkle onions and rosemary over potatoes; stir. Roast uncovered about 1 hour 15 minutes, stirring occasionally, until potatoes are tender. Most small red potatoes are about 2 inches in diameter. If they are larger than this, cut each one in half.